690 CCA with Battery Rundown Protection; automatically shuts off courtesy lights (reading/map lights, visor vanity lights, trunk and glove box lights) to protect the battery. Lights are automatically turned off after 20 minutes if they are left on and the ignition is in the "off" position. Extended Life - Platinum Tip Spark Plugs and Wires That are Designed to Reduce Radio Frequency Noise Levels Which May Affect Communications Equipment Including Operating Frequencies in the 38 MHz to 58 MHz Range. 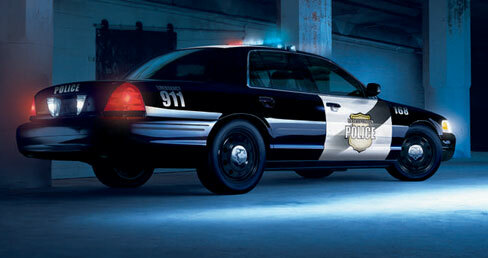 Heavy-Duty 4T65E 4-Speed Automatic, Electronically Controlled (Traction Control is Not Available on Police Package). Electronically-controlled transmission provides protection against over-revving the engine in low gear and a mechanical low gear blockout is not required. If a driver manually selects LOW gear and fails to manually upshift to HIGH gear, the Powertrain Control Module automatically protects the drivetrain. Coolant hoses are EPDM (Ethylene-Propylene-Diene) rubber; silicone hoses are not available. Electronically-controlled transmission provides protection against over-revving the engine in low gear and a mechanical low gear blockout is not required. If a driver manually selects LOW gear and fails to manually upshift to HIGH gear, the Powertrain Control Module automatically protects the drivetrain. NOTE: Compact spare is standard. PassLock II Requires Correct Ignition Key to Start Engine. 140 MPH Certified Analog Speedometer - 1 MPH increments, Digital Trip Odometer, with Oil Pressure, Volt Meter, Tachometer, Engine Temperature Gauges, and Hour Meter (To Display the Hour Meter, Turn the Ignition Off, Press and Hold Reset Button for at Least Four Seconds), for Message Center. Power, Programmable with Lockout Protection, Door Lock Cylinder No Longer Available on Passenger Front Door and Rear Liftgate. Anti-Lift Driver and Passenger, Intermittent, Front Wet-Arm with Pulse Washers. Wiring Provision - Two Battery and Two Ignition Controlled Circuits, 21 Amps Per Circuit. Harness is Located in Front of the Glove Box, Requires Upfitter Installation - Instructions Provided in Owners Manual Supplement. 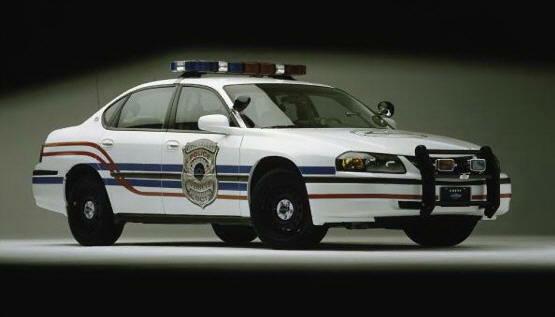 Copyright © 2004-2012 www.PoliceCars.us All rights reserved.